Cauliflower is a favorite vegetable around here. My kids love it mashed, but I prefer it cooked Indian-style. 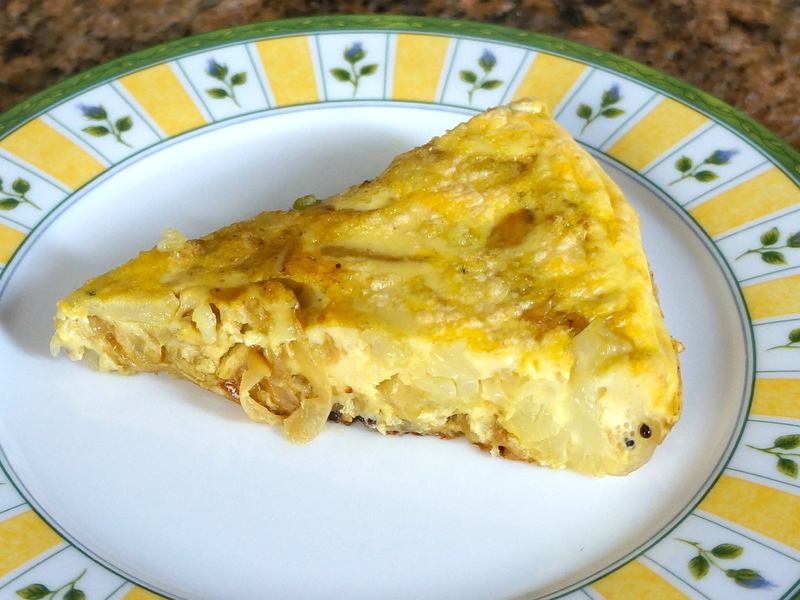 Since I had some extra raw cauliflower this week, I decided to make an Indian-spiced frittata for breakfast. While I love frittatas (see this one and this one for some of my faves), sometimes I get stuck in a rut and just keep using the same (delicious) ingredients: bacon, a leafy green vegetable, sweet potatoes, etc. I haven’t made one like this before, although sometimes I do mix an egg or two into cauliflower curry when I make it, so this isn’t too much of a stretch. It combines the spicy, nutty sweetness of cauliflower with the creamy fluffiness of the eggs. And it can easily feed a family of four (or one or two people for a couple of days). If you do have leftovers, reheat them in a pan on the stovetop to preserve the taste and texture. I hope you enjoy it! 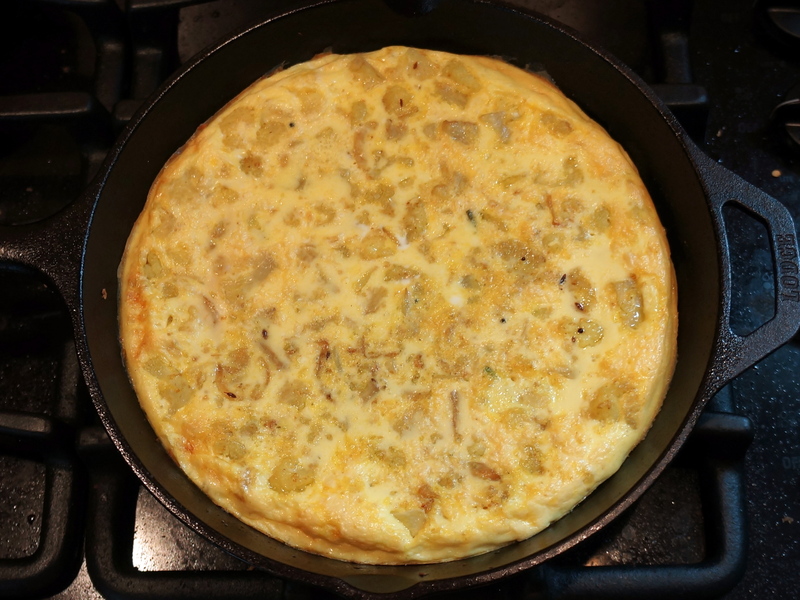 *Note: I used a 10-inch cast iron skillet for my frittata. If you use a 12-inch skillet, use a total of 10 eggs. *Note #2: I don’t actually measure my spices, so the amounts above are just suggestions. Feel free to adjust as needed based on your own taste preferences! Heat a 10-inch cast iron skillet (or other oven-safe skillet) over medium heat and add your cooking fat. I used a half and half combination of coconut oil and ghee. Add the cauliflower, garlic, spices, and salt. 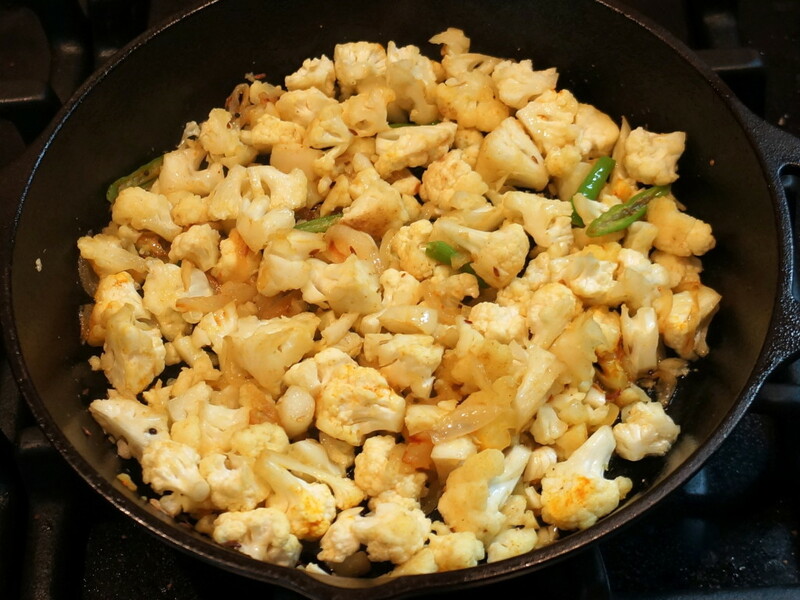 Mix well until the cauliflower is coated with the spices. Cover with a lid or a piece of aluminum foil for 3-4 minutes or until the cauliflower softens). Once the cauliflower is mostly cooked, taste it for salt and adjust as needed. It should be slightly salty at this point since you will be adding eggs to the mix. Also, if it has released a lot of water, allow it to cook off before adding the eggs. Add the beaten eggs and stir gently to make sure the egg is even distributed throughout the cauliflower. Cook on the stovetop for a few minutes. Meanwhile, turn on your oven to broil. Put the skillet in the oven and cook until the eggs are set and slightly browned (about 4-6 minutes). They will puff up when they are cooked through. 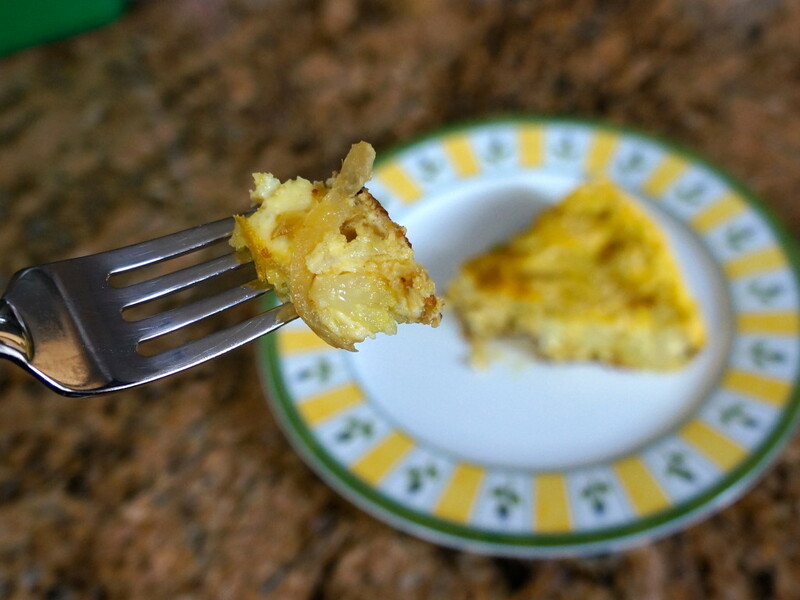 Remove the skillet from the oven, let it sit for a few minutes, then cut the finished frittata into pie-shaped pieces. 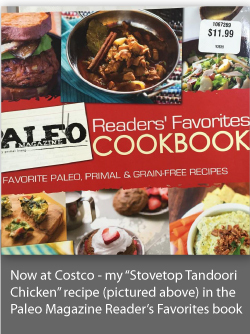 This post is linked to Tasty Traditions, Real Food Wednesday, Party Wave Wednesday and The Paleo Rodeo. Hooray!! And me with fresh cauliflower ready to be picked. Thanks. Would appreciate your recipie for dhal. I’m still perfecting this recipe! I do plan to post one sometime, but I’m not sure when.